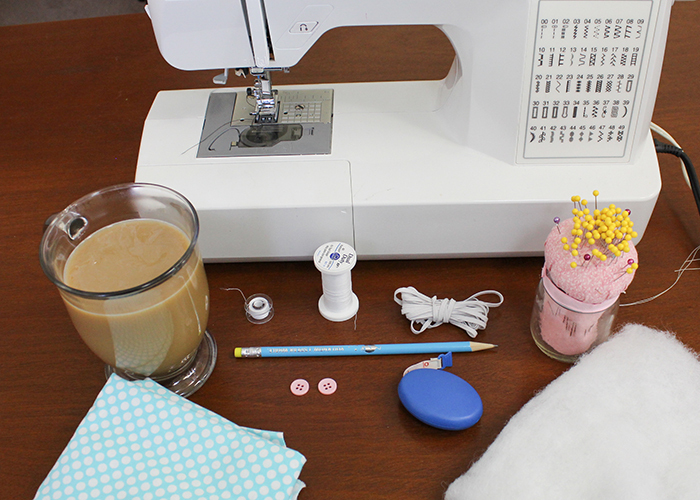 Today I’m sharing a step by step tutorial for this Coffee & Cocoa Cup Cozy Sewing Project! 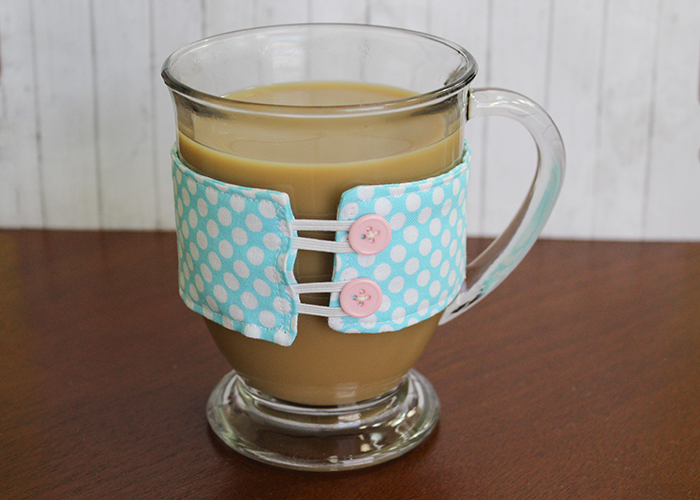 You can customize this to any size cup, use up those fabric scraps, and they make great gifts too! 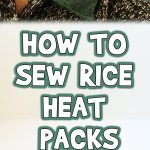 Plus, they take less than 30 minutes to make! Sewing machine. This can be done by hand, but I recommend using a machine if you have one. Batting. I like using lightweight quilt batting. Coffee cup or mug. I recommend using the one you’ll be using the cozy on! Yes, I had coffee in mine! 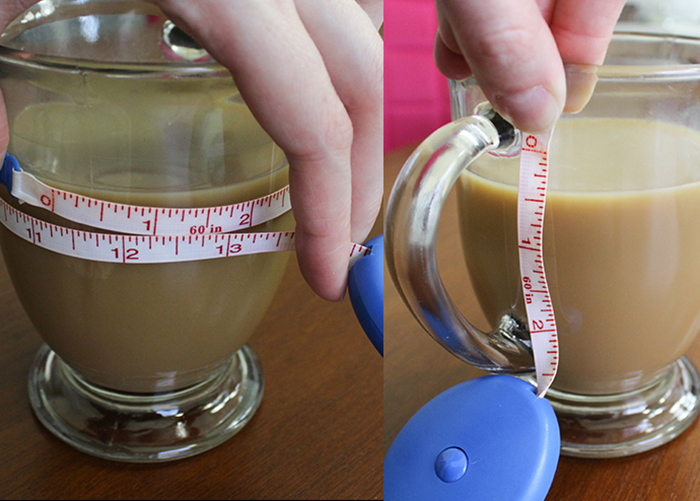 Start out by measuring around your cup at the widest point, and measure the height for your cozy as well. 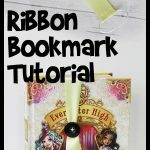 Write down your measurements, adding extra for seam allowances. I added one inch to my length and 1/2 inch to my height, but I ended up eating up more fabric in seams than I expected and my cozy was on the smaller side. So I would recommend adding 2 to 2.5 inches to length and 1 inch to height. Draw two rectangles the correct length and height on the back of your fabric with a pencil. Cut them out. 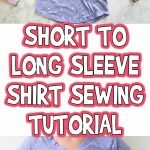 Cut a piece of your batting 1/4 inch smaller than your fabric rectangles. 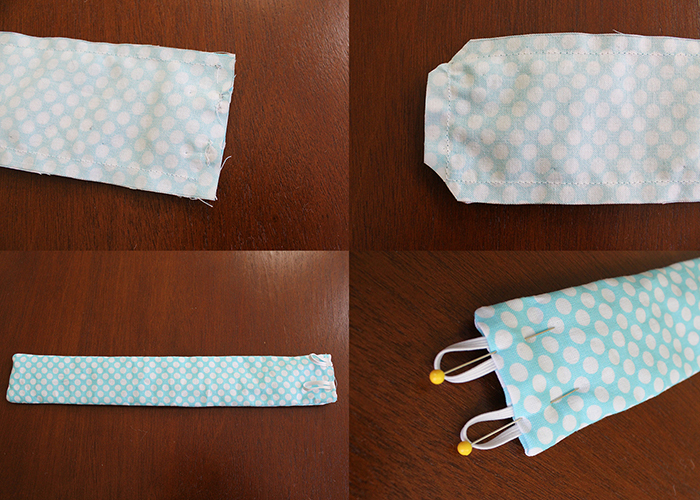 Also, cut two pieces of flat, thin elastic long enough to go around your buttons plus a half inch extra. Too long is better than too short. Lay your two pieces of elastic on top of one of your rectangles, right side up. 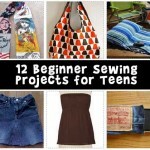 Sew them to the rectangle. Put your other rectangle on top, right sides together, and place your batting on top of that. Pin this all together. 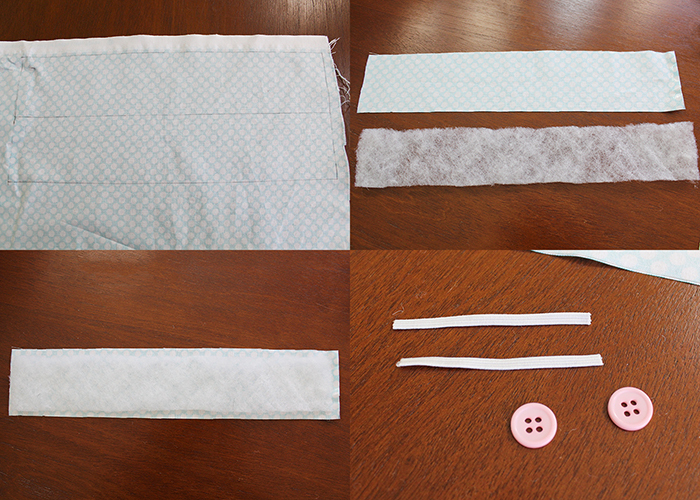 Sew three of the sides together using a 1/4 inch seam allowance, just catching the edge of your batting. Leave the end with the elastic loops open. Go ahead and trim the corners off. 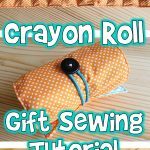 Turn your cozy right side out, using a pointy object to push the corners out if necessary. 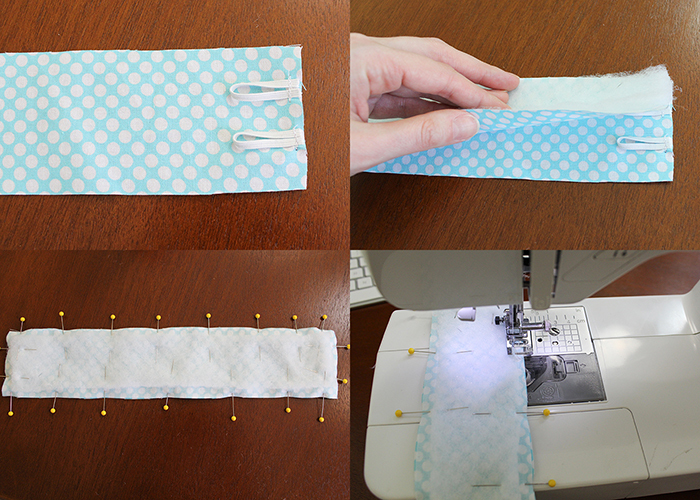 On the elastic loop end, tuck the edges under 1/4 inch and pin in place. Topstitch around the entire cozy using a 1/8 inch seam allowance, and doing a second row of stitches where the elastic loops are for durability. Place your cozy on your cup, and see where the buttons should be. 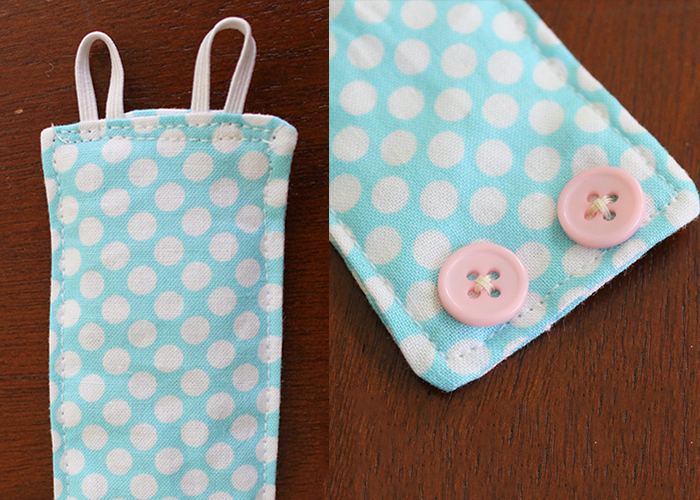 Mine was a bit short, so I sewed my buttons on the very end. You might need to sew yours farther back to have it fit properly. 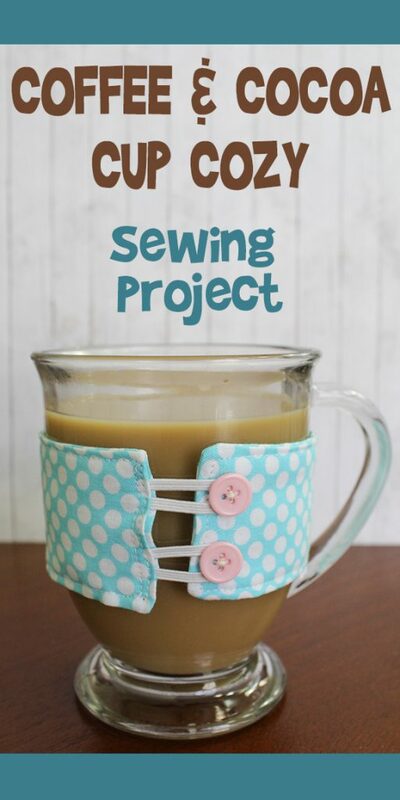 You could even do a couple rows of buttons to fit different sized cups! And you’re all done! 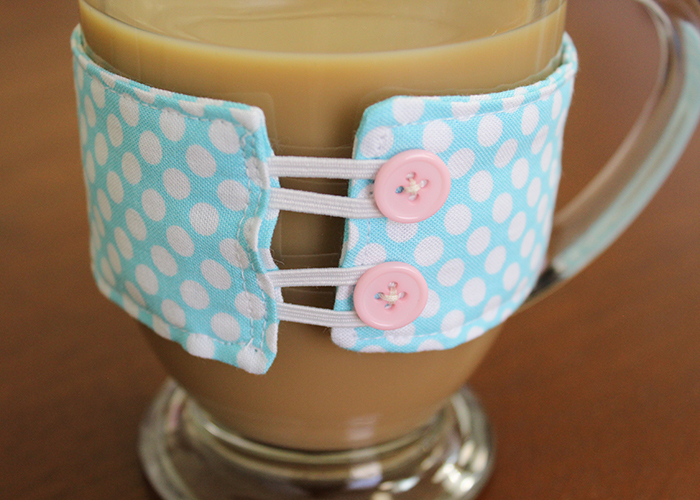 These look so pretty on your cups and mugs, and help protect your hands from too much heat. You can even make these for smoothie glasses to keep your hands from getting too cold! 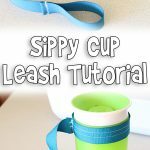 I hope you enjoy making this Cup Cozy Sewing Project! !